Deviantart user TheTechnoToast imagined that since Apple is supposed to change diagonal size to 7.85 inches with the iPad Mini, they might as well enter the phablet market. So, the Apple phablet will actually be a new iPhone, one with a 5 inch Retina Display, so imagine the huge resolution on this baby. The device has a bezel free chassis, so it’s got an edge to edge screen, a technology that has been discussed for a long time, but for me it’s not that viable, since it’s prone to random touches on the side. The iPhone phablet has a microSD card slot, a sacrilege for Apple and it’s also thinner than the iPhone 4S. It runs iOS 6.0 and displays 5 rows of apps, just like the iPhone 5 is rumored to. 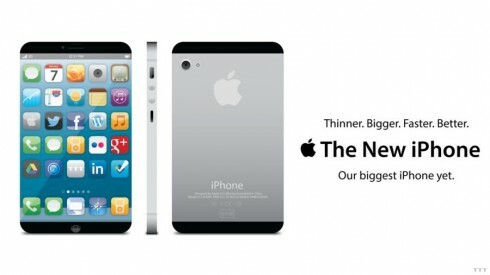 Frankly speaking I doubt that Apple is even making a HDTV or iPad Mini, let alone a phablet.